Books open up wonderful worlds for us, and the more you read the more you gain, whether you’re reading fiction, science, history, self help books, or whatever fascinates you. With thousands of books available on every major subject, one can always find many sources to quench curiosity. 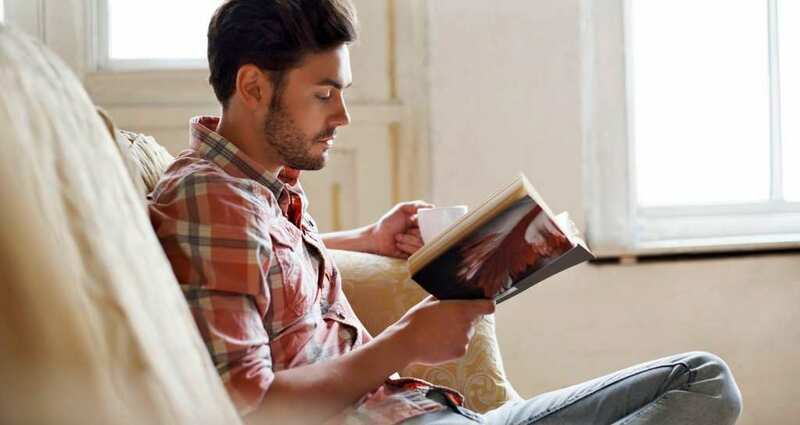 Besides letting you create a new, beautiful world in your mind, there are multiple benefits that come from developing a regular reading habit. Here are five good reasons to start reading more today. Whatever kind of stress or tension you are experiencing at work, school or from any of the endless issues in personal life, immersing yourself in a book or an interesting magazine will definitely help you forget all of your worries for the moment and relax. Once you are relaxed you will find you are able to think much more clearly and things will not seem so bad anymore. Reading builds knowledge, plain as day. Every time you read you learn a little something which can come in handy down the road, not to mention improving your vocabulary. You will also find occasions to impress people with your knowledge and it’s a pretty good feeling. While you may not remember everything you read, there will be definitely a lot of interesting tidbits that you pick up along the way. If you are reading a story you need to remember the plot, the characters, and all of the details throughout the story. This requires you to exercise your brain and you will soon find that remembering the relevant details becomes easier over time. As you read, you are creating new synapses in your brain and strengthening existing ones. Ultimately, you will find that you can remember things more easily. This will also help you preserve your memory as you age. The more you practice something the better you get at it. Have you ever picked up a book and realized later that you have been reading for much longer than you thought you were? It’s because you focus on what you’re reading. Learning to concentrate on the task at hand and avoiding distractions is a very important life skill relevant to whatever field you enter. A large and varied vocabulary is indicative of being a knowledgeable person, and can be useful in many situations from a dinner party to a job interview. Reading helps you expand your vocabulary as you are exposed to new words on different topics all the time. There is so much to be gained by reading all types of texts. Newspapers and the internet help you stay up to date on current affairs. A magazine subscription can keep you knowledgeable about a field you love. In fact, reading doesn’t have to a chore – it can be something fun that you look forward to doing! So get a library membership or a kindle and just start with any book that looks interesting. There is so much to gain.